However, the existence of these Records was intentionally and purposefully kept secretive for many thousands of years, and was the exclusive domain of mystics and religious leaders who had been through rigorous preparation and training to allow them to access the Records and ensure the sanctity of this dimension of consciousness. However, in this New Age, where the global consciousness is evolving and growing, and many are gaining direct access to the spiritual source, the Akashic Records can more easily be accessed to understand its insights and wisdom. Akashic is a derivative of the Sanskrit word Akasha meaning “ether,” which according to Hindu tradition means the essence of all things or more simply that ‘out of which all things are formed’. Akashic records refers to the “energetic database” that maintains a record of every thought, word and action performed across all dimensions by every sentient Soul in the Universe. The Records are the ‘finest’ form of energy (and the earliest form) before the energy has been affected by human emotions and thoughts, and the records are so sensitive that they pick up on even the slightest vibrations anywhere in the ether. The Akashic records hold the archive of each sentient soul as it has existed from lifetime to lifetime, they are the “DNA” of the Universe that collectively catalogues the experience of an individual soul and all souls’ journeys through time. It is a huge, all-encompassing and always evolving ‘library’ of energetic records and as our souls evolve over time so our Records adjust to reflect this growth! This “dimension of consciousness” – containing the ‘vibrational’ record of every soul, and its past journeys and future possibilities – exists in all places, in its entirety and is available at all times, therefore with training and coaching each of us can access our Records – however there are also people who can help you access your Records or gain access for you with your permission. In the process of accessing the Akashic Records, one transitions from the state of human consciousness to a state of “universal consciousness” – a Divine state in which we recognize our Oneness – and this allows us to receive and interpret the vibrational energies of the Records. 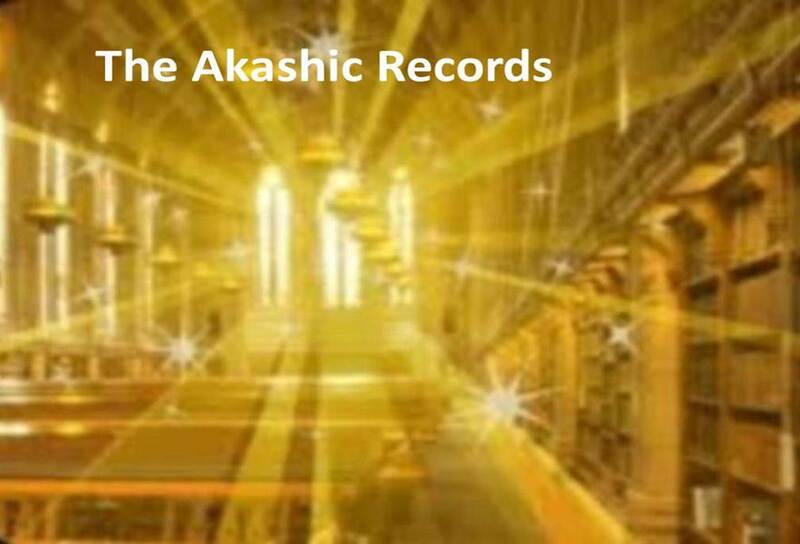 The Akashic Records are protected by Light Beings referred to as the Lords of the Records, they oversee the integrity of the Records, who can access them, and also what information can be received by those accessing. These Lords of the Records provide the information they wish you to know by working with your Masters, Guides and Loved Ones, who then act as the interface with you. The way information is received is in encoded Light language, so learning how to interpret the information is crucial and by using inner senses to give words and meaning to what is given and received takes practice, but it is worth persevering . Accessing your Records can help you understand yourself at a soul level, since you can access past lives – as well as your transition this time around – and help us understand repeating ‘issues’ that appear in our lives, access and clear past-life blocks, and learn more about our current path and purpose. Through accessing our Records we can derive guidance in this physical dimension to become our ‘optimal self’ that exists in the Akasha at a soul level. It guides us to an awareness of one’s spiritual nature and helps anchor that awareness in the physical dimension. It is one of the most powerful tools available to help us remember our oneness with the Source. Please do not hesitate to contact me at @Sy_Ndes if you would like additional information or a recommendation of an Akashic Records healer. ← Feed the Body and Nourish the Soul — Eat with an Attitude of Gratitude!